In this episode I expose the media and their agenda to bring about an American civil war. I also tie it together with the propaganda being pushed by the purge movie franchise as the fascist far left agenda to kill and cause violence in America grows more and more satanic. The question is, how long will America last with such a anti-American agenda growing? The spirit of Nazi Germany is now in America. Will the fascist left handed path turn America into a new Nazi tyranny? Pray the purge ... See More doesn't happen and pray for Gods protection. If you like the show please leave a review on iTunes or google. It helps to make the show more popular and easier to find on the search results. 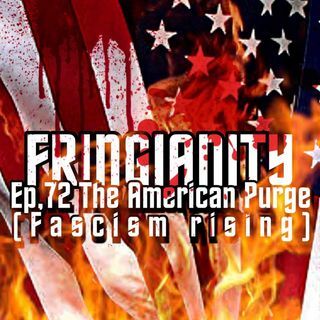 Also please check out the LEO RUTLEDGE YouTube channel for new fringianity underground podcast episodes and subscribe Thanks for taking the time to listen and God bless.